The Chris Waller stable produced an eye-catching winner by Lonhro on Wednesday with the Ingham family owned Hoylonny saluting in impressive fashion at Canterbury. A fast finishing third at Warwick Farm on debut behind subsequent stakes place-getter Sangster on August 23, Hoylonny showed the benefit of outing to score a soft win for Hugh Bowman in the 1200 metre maiden. "I think you’ll find this is a very good form race,” said Chris Waller. Hugh Bowman was delighted with the three year-old, declaring him a horse with untapped potential. "I think he has the potential to be a Group I horse and while he is out of a speedy mare, he’s giving me every indication he’ll get a good bit further,” Bowman said. 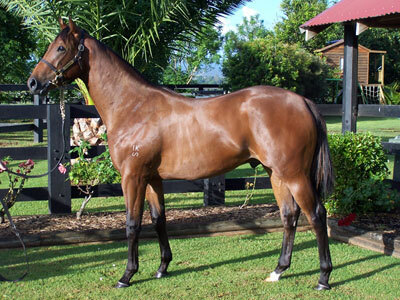 A $380,000 purchase for Norma Ingham from the Edinburgh Park draft at the 2010 Magic Millions Sale, Hoylonny (pictured as a yearling) is the second winner from former brilliant Group III placed juvenile Roedean, who was infamous for winning the Group I Blue Diamond and then losing it on a positive swab. 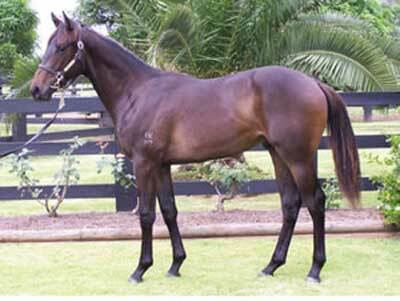 Roedean was purchased by Patinack Farm for $190,000 at the 2009 Inglis Australian Broodmare Sale and is due to foal to Onemorenomore this spring. 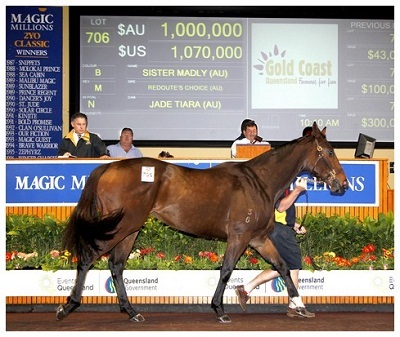 Group winning mare Sister Madly topped the first session of the Magic Millions National Broodmare Sale on the Gold Coast today. Offered by Ian Smith's Edinburgh Park, Sister Madly attracted an opening bid of $500,000 before selling for a cool $1 million. In the end it was Bill Mitchell on behalf of Segenhoe Stud who held the bid when David Chester dropped the gavel. 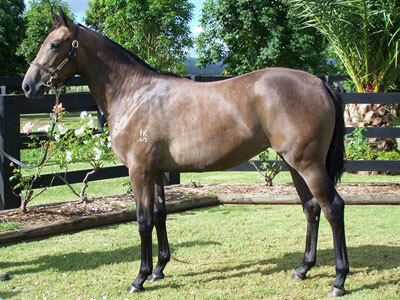 "She's a beautiful mare and Segenhoe are delighted to have purchased her," Mitchell said. "She is an outstanding type." "The mare still has a future on the racetrack and she will be heading to the stables of John Sadler in Melbourne prior to joining the broodmare band at Segenhoe." "She is by a champion sire and is a half sister to a champion sprinter in Silent Witness - she has a lot going for her," Mitchell added. Today's other star offering, the group winning General Nediym mare Military Rose, was purchased by Baramul Stud for $800,000. Offered by owners Hoss and Gillian Heinrich, Military Rose proved herself one of the star juveniles of the country and shot to prominence by winning last year's Magic Millions 2YO Classic. 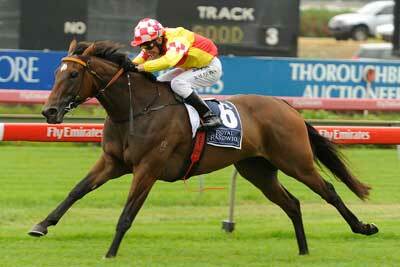 Two runs back the three-year-old filly beat the boys in the Group Three Gold Coast Guineas. 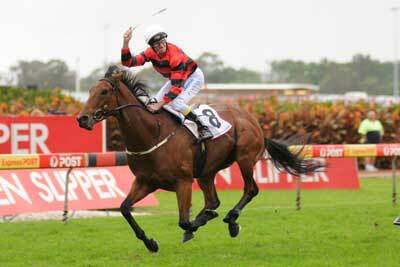 "She will race on until she heads to stud in September," Baramul Stud's Gerry Harvey reported. "Gillian (Heinrich) will keep training her for me and hopefully she can win another feature race or two before she is retired." Harvey said purchasing Military Rose made sense. "I own Magic Millions and I haven't owned a Magic Millions (Classic) winner, so I thought I would change that!" "She's a top class mare and she will visit Redoute's Choice in her first season at stud later in the year," Harvey summed up. All up today almost $7.4 million was traded on 171 fillies and mares at a healthy average price of $43,259. A healthy buying bench of clients from around Australia and overseas was on hand to bid on their picks of a quality catalogue. Magic Millions Managing Director Vin Cox said today's session realised positive results after a tough National Weanling Sale. "Most vendors met the market and the clearance rate of over 77 per cent was encouraging," Cox said. "There was spirited bidding on many lots and the buyers were delighted with their purchases with great value on offer." "It was nice to see the market accept the star mares Sister Madly and Military Rose with strong prices - mares of their quality are rarely offered at auction." "We have some great prospects to go through the ring during tomorrow's second session from 10am," Cox summed up. A like minded philosophy that `the horse always comes first' has led to former Horse of the Year Weekend Hussler's permanent move to the NSW mid-north coast town of Wingham. `The Huss's low key-arrival at Ian Smith's luxurious Edinburgh Park property last week was the result of a discussion with the horses' trainer Ross McDonald when they met up in Sydney recently. Weekend Hussler winning the George Ryder Stakes Group 1 19th April 2008. ``Ross obviously loves this horse and he really just wanted to make certain that he'd be taken care of for the rest of his life and in the best possible way,'' says Smith, who bred that other champion sprinter, Silent Witness. ``I have always maintained that the horse as an individual must come first and Ross is very much in the same boat. While restricted to light duties, Weekend Hussler will play a part in day-to-day life at Edinburgh Park and even make the odd guest appearance. ``The plan is to let him find his feet here then he'll go in with the weanlings and essentially show them the way. It will keep him fresh in body and spirit to be around the young ones - hopefully they learn a few of his traits!,'' Smith joked. The Huss won't be completely lost to the public, with plans for the horse to occasionally add his lofty presence to race days here and there. 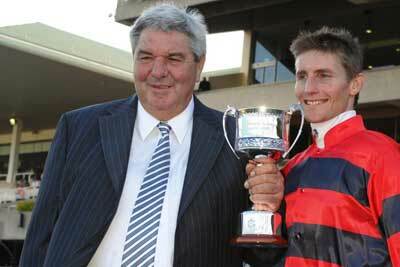 Ross McDonald and Brad Rawiller celebrate the Randwick Guineas victory. ``He has got a long time to be in the paddock doing nothing and he's the sort of horse that likes to do something,'' Ross McDonald said. Weekend Hussler will be remembered as one of the best sprinters seen in Australia winning six Group One's, five of them one after the other. ``He was a super horse,'' McDonald says,`` people never got to see the best of him. Imagine what a contest it would be between the Huss and unbeaten champion Black Caviar! ``At his best, I think it would be a good race,'' McDonald mused. Sister Madly finally got the black type win she so richly deserves. Having been plagued by bad luck and circumstance in the past, all was forgotten on Saturday. Jumping well and sitting just off the leader, she pulled herself to the front on the turn and withheld all challenges as she cruised to the line with Rod Quinn on board by a widening 1.25 length margin. So dominant was she that she nearly broke the long standing track record for the 1200m in a time of 1-08.6 sec. Trainer AT Millard could well be thinking he has found the key to sprinter Fair Navigator. The gelding recorded another win over the 1000m Sha Tin course in a time of 57.2 sec. The horse looks like he is a late bloomer and we may yet see him at the business end of the Hong Kong season in December for the rich sprints. 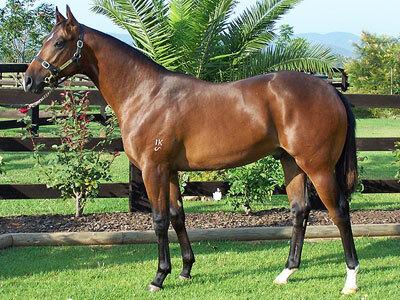 After a long absense Edinburgh Park had a successful return to the Classic Yearling Sales. Selling all four yearlings offered, the stud averaged $67500 which was well above the sale average of $34940 and placed Edinburgh Park 2nd on the averages list for 3 or more lots sold. Leading the way was the grey filly Choisir - Harmonia which went to the bid of the Cordina family.